When it comes to printing Posters and Self-Adhesive labels, Wotton Printers have years of experience after working with a number of large clients in the Newton Abbot area. From one end of the size spectrum to the other, large posters to small labels, Wotton Printers have you covered for all your poster and label needs. If you are looking for poster printers or self-adhesive label printers in Newton Abbot or Devon, you have come to the right place. Wotton Printers have a true passion for bringing your ideas to life, and with a team of in-house designers at the helm, we can work closely with you to make sure your ideas come to life in the best possible way. Poster Printing and Self-Adhesive label Printing is something we carry out on a day-to-day basis. Whether you are looking for large posters to promote your businesses products or services, or you are looking for creative labels for an event or to help you in the office, get in touch with Wotton Printers today and ask for a free quote. As specialist poster printers based in Newton Abbot, Wotton Printers can work on the design with you and make sure that your marketing is done in the most effective way possible. 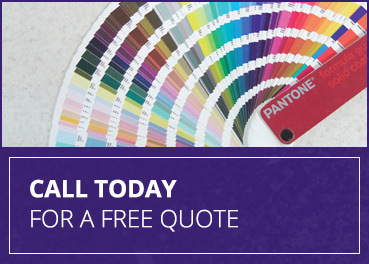 Using vibrant colours, modern designs, and a variety of sizes, styles and finishes, means Wotton Printers should be your first choice when looking for a poster printer in Newton Abbot. Using large format printing technology, the team here at Wotton can make your posters stand out from the crowd. If you are struggling to provide us with the artwork, just ask us about our poster design services – we will happily show you samples of previous work and you can see for yourself what we are all about. Wotton Printers aren’t just limited to your run-of-the-mill marketing materials, printed on paper or card, we are diverse in the way we work and the options we bring you. Because of our passion for providing a comprehensive service, Wotton Printers offer sticker printing as part of our ever growing list of printing services. If you are a business owner in Devon looking for posters or stickers, make sure you get in touch with Wotton Printers today so we can talk to you about your poster printing or self-adhesive label printing needs. Remember we design too!